The Seattle rockers were originally aiming to hit the studio earlier this year, but La Torre explains that schedule has been revised. “Right now the tentative recording timeline is to get into the studio September,” he says. “It was supposed to be March. But we did a hundred shows last year, and when you only have four days off at home, you're not locking yourself in your studio to work. And you can't force creativity — good stuff." La Torre feels the last album has already influenced Queensryche’s approach to the new project. "I would say that the stuff so far, I think, has more upbeat, driving, faster-tempo songs," he explains. "I think 'Condition Hüman', in hindsight, probably lacks… it could have used a couple of more faster songs. So far there seems to be more odd-time stuff, a little more progressive. La Torre reveals that he is also working on his debut solo album, with tentative plans for a release next year. 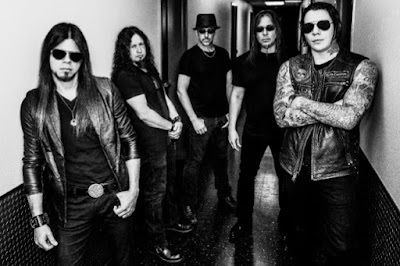 Meanwhile, Queensryche continue a busy road schedule with US dates this spring ahead of some European festival appearances and headline shows in the next two months.